A new sound reinforcement system has been designed and installed at Capitolio Theater in Lisbon by Audiomatrix. known space located in the centre of the city of Portuguese Capital which hosts a big variety of events such as live concerts, corporate events as well as theatre activities. Capitolio was looking for a new sound system that could offer high sound fidelity throughout the venue for the 1500 people capacity.The hole system was specified by Audiomatrix Technical director and FOH engineer Marco Esteves. They chose the NEXT-proaudio solution due to a combination of its versatility, clear sound, coverage capabilities, and the easy tuning using Soundware software. Marco Esteves used the manufacturer’ support to design the setup, which comprised 12 LA122A, 2 LAs118A, as well as 6 ground stacked LAs418 subwoofers as the main system, 4 HFA108 and 2 HFA206 as front-fill, 2 HFA112 and 4 HFA118sHP as side-fill and 10 LAm114xA as stage monitors. Following the installation, Marco Esteves, was also pleased with the sound quality, ‘The sound is warm and clear, it can handle anything from a jazz trio to a metal show. That gives the venue unlimited flexibility. I’m confident we’ve built a proper system’ he said. 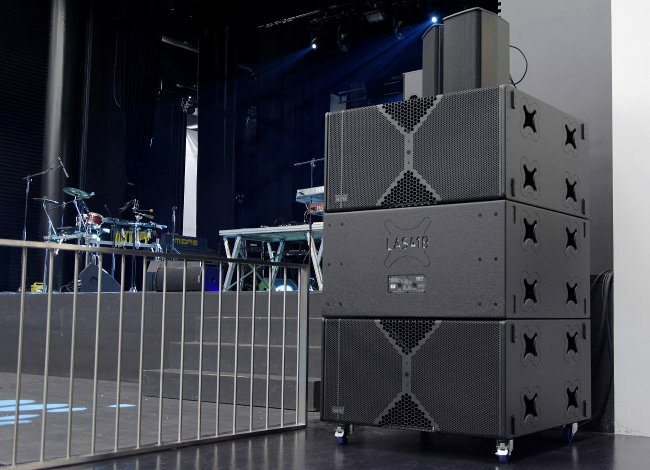 According to NEXT-proaudio, the venue’s owner expected the system to sound good, but the results surpassed his expectations. Additionally, the company reports that the Morgan Heritage´s FOH engineer who ran the opening show including on the European Tour of the band commented that the “system was sounding clear, transparent and free of distortion”.